New Orleans There’s a lot of talk about solar and other renewable energy sources, reduced electricity demand, and even some environmentalists saying that nuclear power might be the way to go to reduce the risk of climate change. You start to think to yourself, well, it’s been a long time since Three Mile Island, maybe I should take a look at this again and update my viewpoint. My stumbling block more recently was a visit in October of 2012 to Japan in the area devastated by the earthquake there in March 2011 and the continuing problems at the Fukushima plant. A more recent article in Science magazine on reports issued by scientists still unpacking the risks of a total meltdown at Fukushima and extended by other researchers to the ongoing latent dangers in US nuclear plants with the same characteristics, once again scared the stuffings out of me. Pretty much the US National Academies of Sciences, Engineering, and Medicine in their report claim it was pure luck that saved Japan. Here’s why. Nuclear plants store spent fuel, which is highly radioactive obviously, in huge cooling ponds. In Japan, the earthquake and tsunami shut down the pumps that move coolant in the reactors and cool down the water in the spent fuel pools. Pumps go down, meltdown follows. But, as Science detailed, “the water was evaporating away because of the hot fuel,” meaning the risk of fire and conflagration was imminent, and only averted because, “Separating the well and the spent fuel pool is a gate through which fuel assemblies are transferred. The gate leaked, allowing water from the well to partly refill the pool.” That could have been the big one in Japan! The study also points out that this potential problem should be a “wake-up call for the industry,” but if so they must be sending encrypted messages between each other, because this was the first warning I had seen. Unpublished modeling of a nuke plant in Peach Bottom, Pennsylvania in the southeast portion of that state not far from Washington and Philadelphia, indicated that a spent-fuel fire there would have “trillion-dollar consequences” according to a Princeton University nuclear security expert. Other Princeton researchers published a report saying that depending on when such a fire occurred at that plant and the prevailing winds during that season, the contamination could spread from Maine to North Carolina, and cause the evacuation of 43 million people. And, believe me on this, there are areas in Japan where people will never go home. What, me worry? Heck, yes! 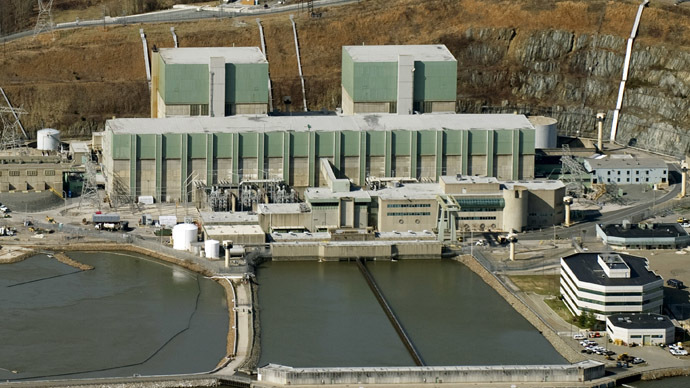 This entry was posted in Ideas and Issues and tagged Fukushima plant, nuclear power plants, Peach Bottom, Pennsylvania, renewable energy by Wade. Bookmark the permalink.